Showing 1 - 20 of 709 results. 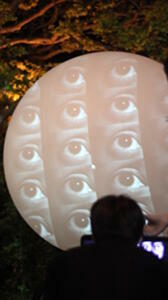 A photograph of Julia Holden's egg artwork, 'A Shell of Her Former Self', at her temporary studio in Sumner. 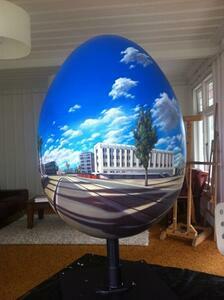 The egg is to be part of the Whittaker's Big Egg Hunt. A digital copy of a painting by Hamish Allan. 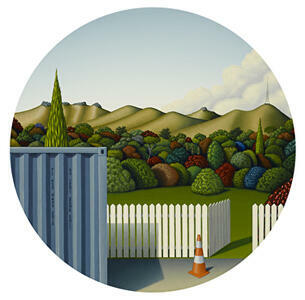 The painting is titled, 'Garden City IV, The smell of rain' and was painted in 2013. The original painting is acrylic on linen and measures 400mm in diameter. 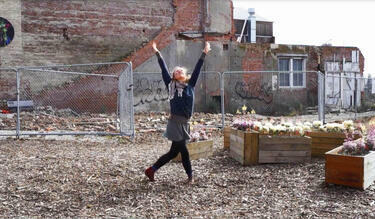 A PDF copy of pages 366-367 of the book Christchurch: The Transitional City Pt IV. 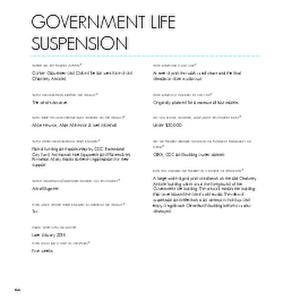 The pages document the transitional project 'Government Life Suspension'. A photograph of the badly-damaged building at 128 Manchester Street. 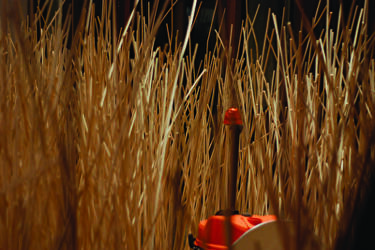 Liv Worsnop's Zen Garden installation is in the foreground. A photograph of a painting on a temporary facade of a building on the corner of Hereford Street and Manchester Street. 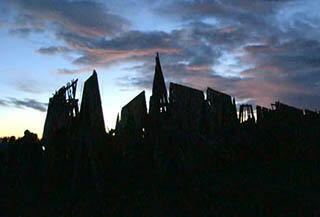 A video of members of the public burning the 'Temple for Christchurch' art piece at the Motukara Raceway. The art piece was designed by artist Hippathy Valentine to provide a mechanism for emotional healing alongside the physical rebuilding of Christchurch. People were encouraged to visit the temple and to write stories and leave memorabilia. The piece is being burned to signify the release of these stories. 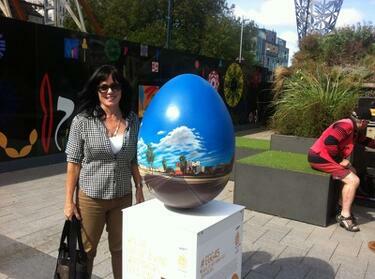 A photo of Julia Holden standing next to her Big Egg artwork, 'A Shell of Her Former Self', in Cathedral Square. The egg is part of the Whittaker's Big Egg Hunt. 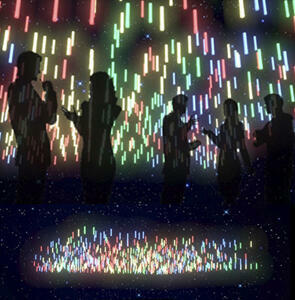 A digital copy of a painting by Julia Holden. 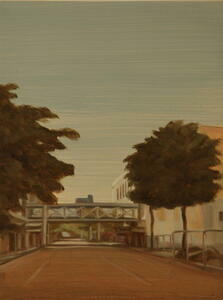 The painting is of Colombo Street, looking north towards Cathedral Square. 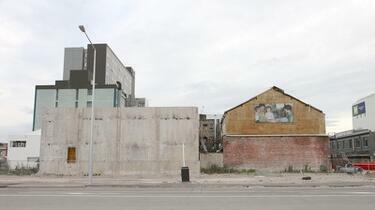 A digitally manipulated image of Michael Parekowhai's sculpture 'On First Looking into Chapman's Homer' on Madras Street. The photographer comments, "This is the work of New Zealand artist Michael Parekowhai titled 'On First Looking into Chapman's Homer'. 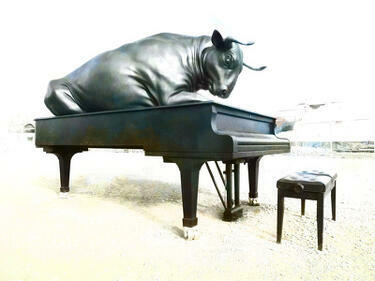 There are two bronze pianos and a very dominant looking bronze bull on each". 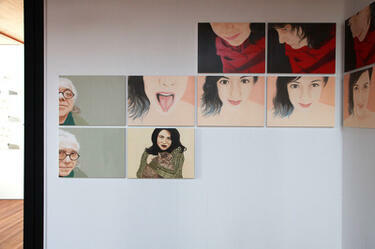 A photograph of an installation view of Julia Holden's exhibition, 'its like now'. The installation was exhibited at the ArtBox gallery on the corner of Madras and St Asaph Streets. A trailer video for Elizabeth Guthrey's film series 'Dancing Through Impermanent Spaces', which was screened as part of the Body Festival 2014. A video of dance and physical theatre featuring Matt Grant and Elizabeth Guthrey, incorporating several central city locations. 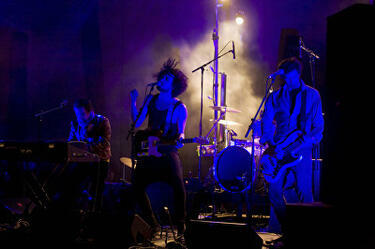 The voiceover is a poem written and read by Matt Grant. 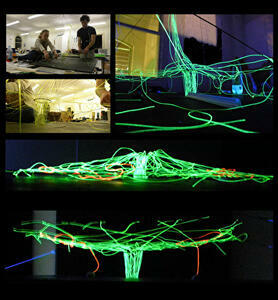 A photograph of 'We Won't Need Legs to Stand', an installation by Sam Eng. 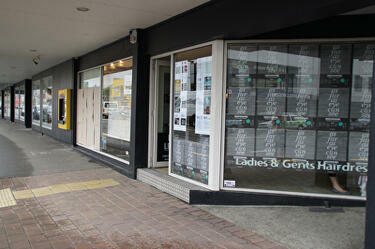 The installation was displayed in the window of the COCA gallery when the remainder of the building was yellow-stickered. 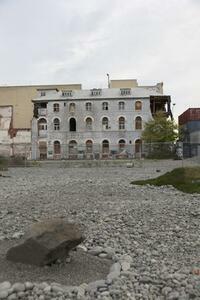 A PDF copy of pages 252-253 of the book Christchurch: The Transitional City Pt IV. 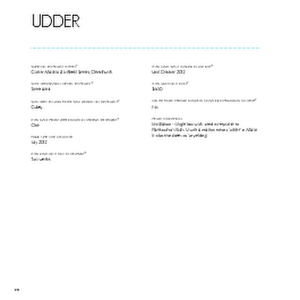 The pages document the transitional project 'Udder'. 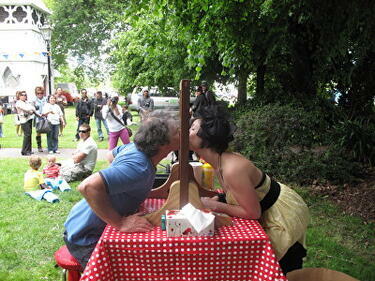 A photograph of artist Audrey Baldwin kissing a participant at the Kissing Booth perfomance at the Addington Fun Fair.